Wow! You are brave. I've done all of my manipulative tubs out before because the unifix cubes would get mixed in with the attribute blocks. But, I've never done the entire room. I called my lesson "classifying". You are right, the kids are great about cleaning up the mess. Haha...we did the same thing!! My kids loved it, especially taking staples out of my doors (who knew??). My only problem is we have to leave it all on tables so that they can move the shelves this summer, so my room is a mess! Wow! That is bravery! Doesn't it feel great to have it all clean now? You are so brave! I'd probably make something similar on the last week. Last year, I divided them into teams to organize toys, crayons, markers and math supplies. It was a great hit! "If they didn't behave during the cleaning party they wouldn't be able to participate" -- LOL love it! I am always amused at how much my first graders enjoy being given a disinfecting wipe and told clean. They take the role very seriously. Your final result is beautiful!! It's just amazing what our students will do for us and NOT for their own parents! Ah, the power we have! I did the same thing with my classroom. Lucky I have 8th grade girls that love to clean! The last day of school they stayed in my room for 2 class periods reorganizing my closet. But you are brave doing that with your age group! Lori you are brilliant. Sellin' the "sizzle" of a clean classroom . . . now that's what I call some serious talent! I think tomorrow, I'll have them go through the markers and crayons and throw out the duds! There's nothing they won't do for me! Hmmm, that doesn't seem very fair! 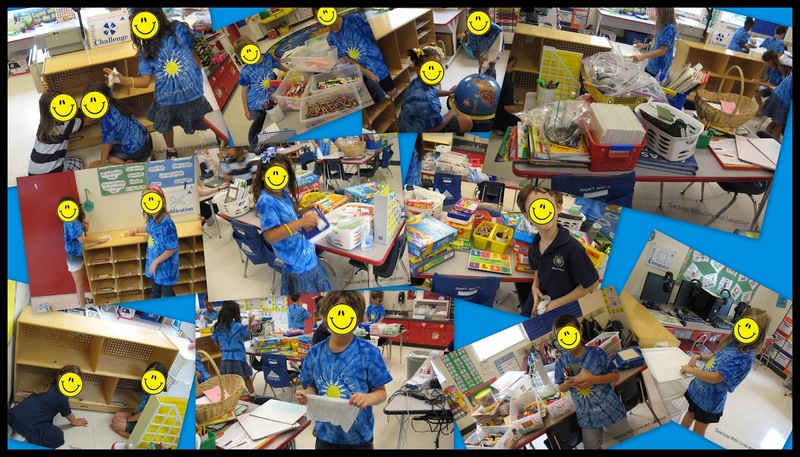 The children really love taking ownership of their room and taking part in these end of the year rituals. I'm so sorry! You are definitely a brave soul!! I don't know how you did it! I don't remember much of it! It's all a blur! LOL! I do the same thing every year. It's a mess, but it's worth it totally! Your room looks so clean! I'm moving to a new room and it's still a total disaster! Susie, good luck with your move. So many teachers in my building are moving and, somehow, I lucked out. I certainly do not envy anyone who has to move. I so do this! Especially with all the bins from the library books! Happy end of the year! Thanks for reminding me about my books. Tomorrow, I'll have them go through the books and make sure they're all facing forward! They'll love this! LOL! Thanks for all the comments! I still cannot believe how well operation clean-up went. I don't usually do it this way, but, I figured I'd give it a try. What did I have to lose? Besides my sanity! LOL! I hope your clean-ups go as well! Thanks so much, Lisa! I'm ready to start my summer break! 2 more days to go! Looks fantastic!! I am jealous!! I took off all my wall decorations today... my room looks so barren and DEPRESSING! Thanks so much! I'm really excited about my new look! I timed it perfectly because I'll be having a BIG 500 follower giveaway and I can show off my new blog! I am your newest follower! Love your adorable blog! Thanks so much for the comments about my new blog design! I couldn't be happier! Plus, I just noticed that I have numbered posts now! I'm doing the happy dance! Thanks, Mel! I'm so glad you're following me now! I just realized that I can no longer reply back to individual posts. I wonder why? I just wanted to tell you that I LOVE your new design. I'm going to miss seeing your upside down little girl but your new look is ADORABLE. Stacy, I literally laughed out loud when I red your post! I miss the little upside down girl, too! Sadly, she had to go! LOL! Hi Lori! 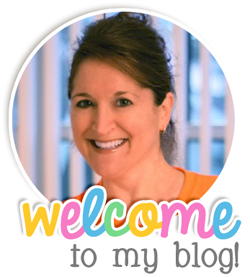 Congrats on over 500 and the blog design - super cute!